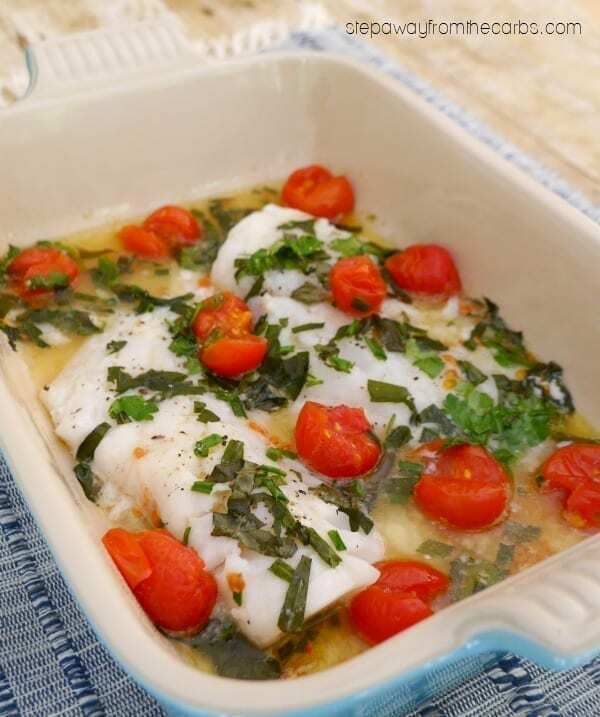 This roasted cod is cooked with cherry tomatoes, herbs, garlic, and butter! 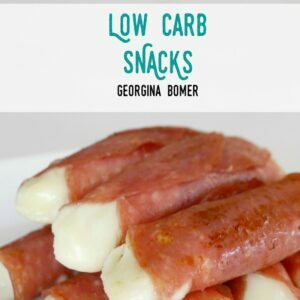 An easy low carb meal for you to enjoy! 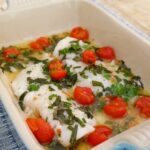 My husband and I have been eating lots of fish recently – they’re just no stopping us! But I realized that I hadn’t added many of the dishes to the blog – and I thought it was about time to correct that! This recipe comes together very quickly, and has so much flavor. A great weeknight meal for you to try! Spray a baking dish with a little olive oil. 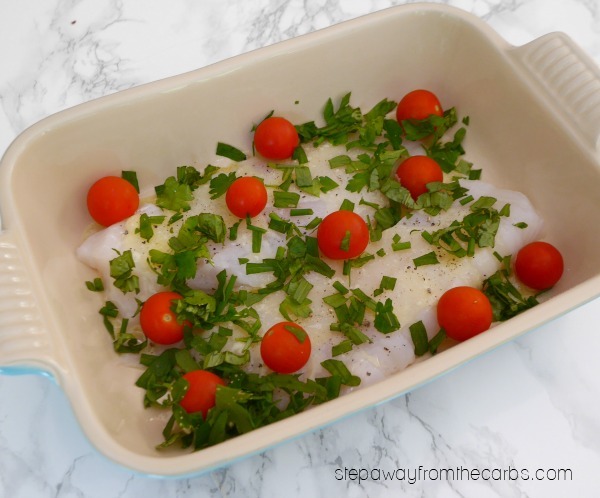 Place the cod fillets in the baking dish. Melt some butter, and stir in some garlic paste or minced garlic. Pour the garlic butter over the fish, then season it with salt and black pepper. Add the cherry tomatoes. Next, finely chop the herbs. I used a combination of basil, parsley, chives, and tarragon – but it really is up to you what you use! Sprinkle the herbs over the fish. Cover the dish with foil, and roast in a pre-heated oven for 20 minutes, removing the foil after 10 minutes. The tomatoes burst and release their juice, which adds to the garlic herby butter that has been gently poaching the fish. 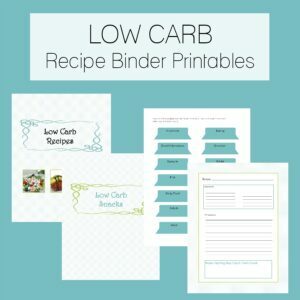 Serve with a crisp green salad for a fantastic low carb meal! 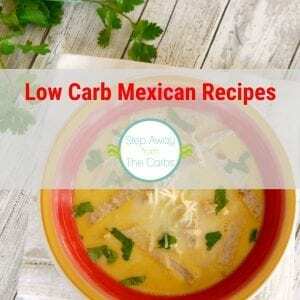 This low carb meal comes together quickly and tastes fantastic! 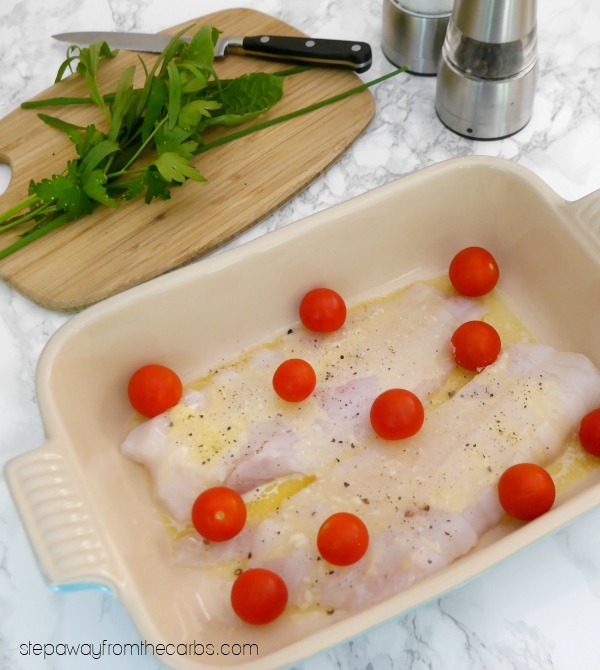 Spray a baking dish with a little olive oil. 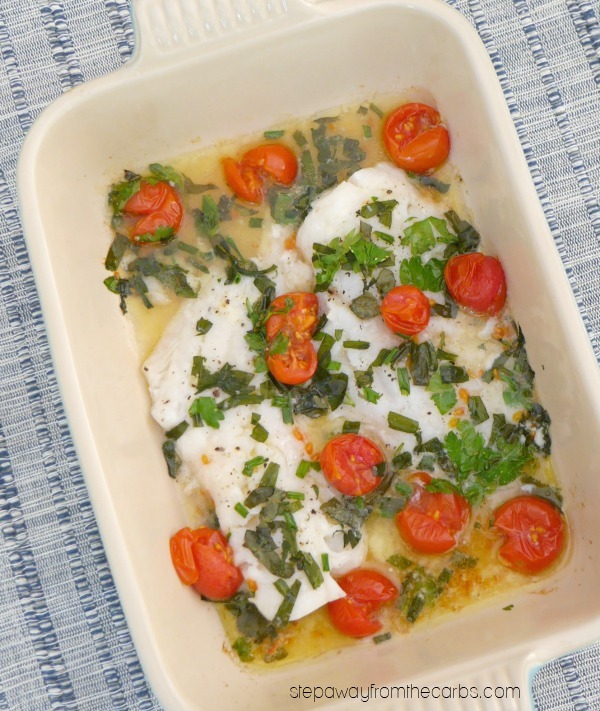 Place the cod fillets in the baking dish. Melt the butter in a small bowl, and stir in the garlic. Pour the garlic butter over the fish, then season it with salt and black pepper. Add the cherry tomatoes and sprinkle the herbs over the fish, then cover the dish with foil. Roast for 20 minutes, removing the foil after 10 minutes.